The Master’s program curriculum is offered on a trimester system that requires a minimum of 3232 hours /183.47 credit hours of study and corresponds to four academic years completed in a minimum of 36 months. 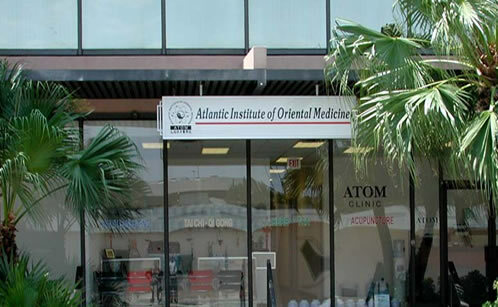 The program prepares students for a career in TCM and qualifies them to sit not only for the Florida licensure examination but also for the national certification examinations administered by the National Certification Commission for Acupuncture & Oriental Medicine (NCCAOM), which is required for licensure as an acupuncturist in most states. ATOM has designated a portion of its Master’s-level curriculum to be applied toward a Bachelor’s Degree in Health Sciences in addition to the coursework that applies toward a Master’s Degree in Oriental Medicine. The Bachelor’s Degree in Health Sciences is not a terminal degree. Accordingly, both degrees are only conferred at the completion of the entire four-academic–year Master’s degree program. The courses in the curriculum are presented over a three-year span in a required course sequence as outlined on the following pages. The minimum time to complete the full program is three calendar years (36 months), and the maximum time, including any possible interruptions, that a student can be enrolled to fulfill the Institute’s program, is eight calendar years. ATOM conducts academic sessions throughout the year. Both day and evening class sessions are offered 3 or 4 days per week with flexible scheduling for clinic internship specifically designed to accommodate our students. Elective courses are offered and special seminars are scheduled throughout the year. ATOM reserves the right to change instructors, curriculum, and the order in which courses are given.